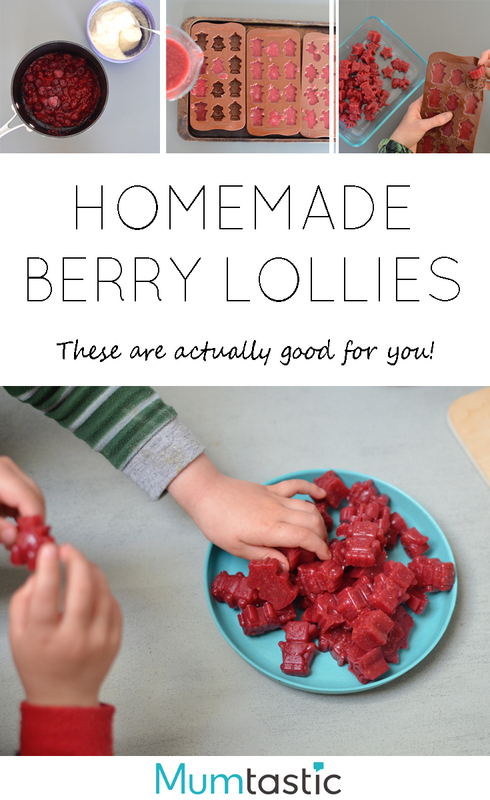 Making your own lollies at home sounds tedious but trust me it’s worth the few minutes of effort. 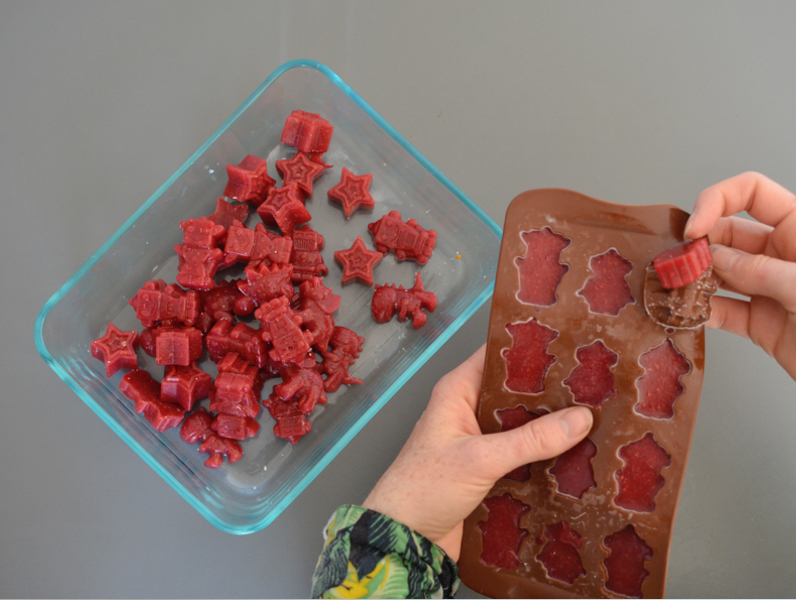 I use gelatin as the ‘glue’ for these homemade lollies – the powdered form, not the leaves. It’s easily bought from a health food store or most big supermarkets and it’s great because it’s packed with protein, helping you to feel full. 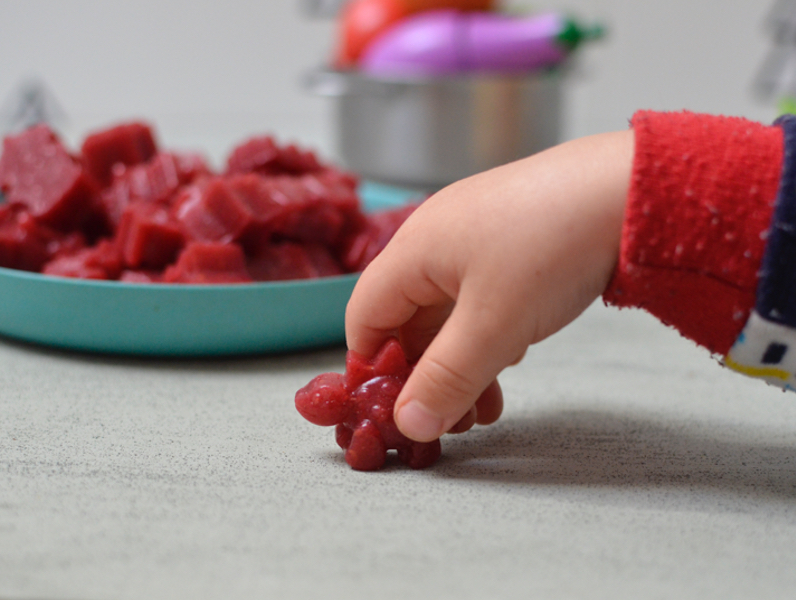 Gelatin is also good for supporting your gut health which helps to boost your immune system. Once you’ve made the berry version a few times you can switch in any fruit you wish. 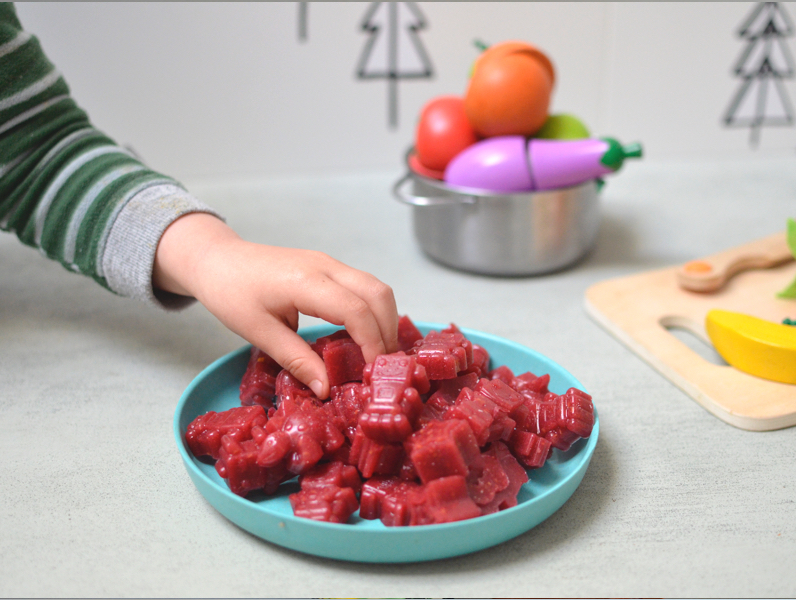 We love these berry lollies with mango, roasted apples and even kiwi fruit! Making your own lollies is so easy and so satisfying. No preservatives here! Step 1: First you want to ‘bloom’ the gelatin which is a fancy way of saying melt it. 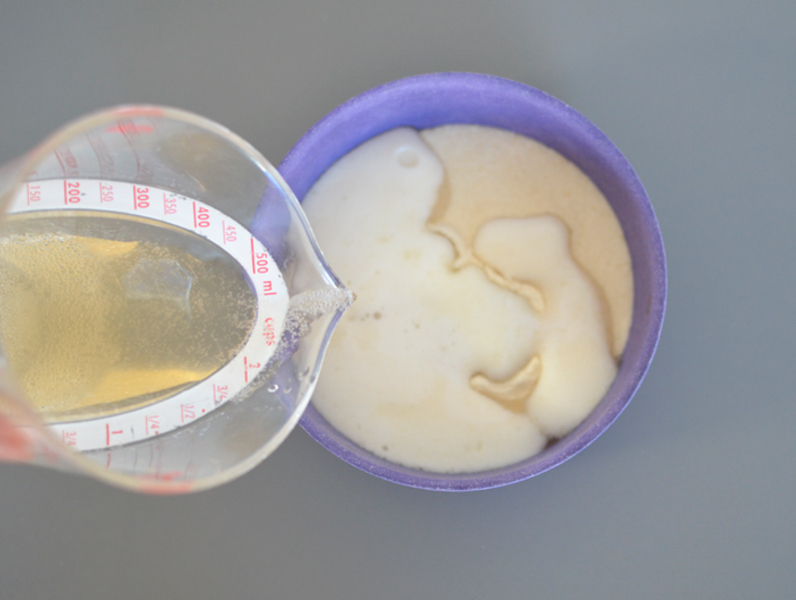 Just pop the gelatin into a bowl with the water or kombucha (whichever you choose). It’s bloomed when it’s nice and jelly like. Often it sets quite quickly but don’t fear it will work great. 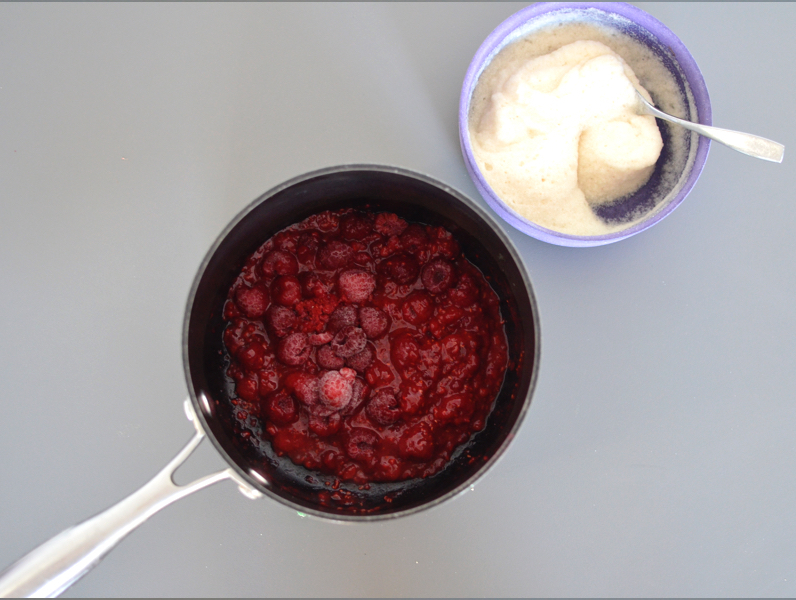 Step 2: Meanwhile, in a pot, warm the frozen berries until they’re room temperature. Then, pop them in a blender and process them with the vanilla (and the sugar if you’re using). 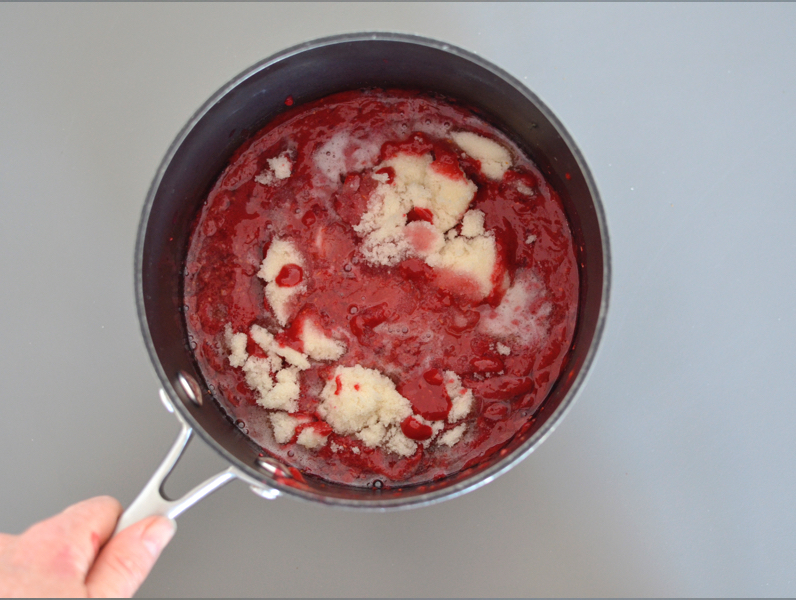 Step 3: Pour the berry purée back into the pan over a low to medium heat. Pop the gelatin in and stir every now and then. It’s ready to go once it’s melted and all the chunks of gelatin are gone. 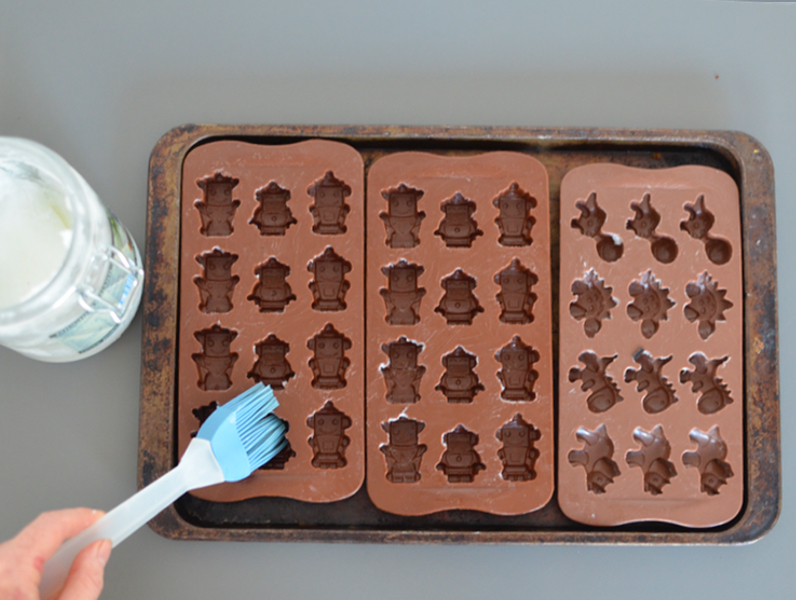 Step 4: Lightly grease your chocolate silicone moulds with coconut oil or use a large plastic container, that will work just as well. Step 5: Pour the berry mixture in and then allow it to set in the fridge for at least an hour but ideally an hour or two longer. 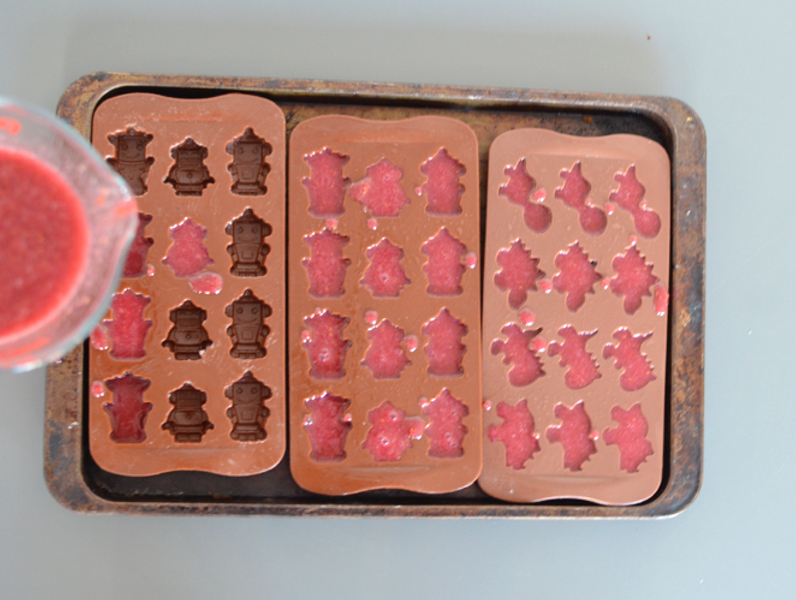 Step 6: Pop the berry lollies out of the moulds and enjoy. I try to keep them cool, so if they’re going into the kids' lunch box, just pop an ice brick in too. They store great in an airtight container in the fridge for up to a week. 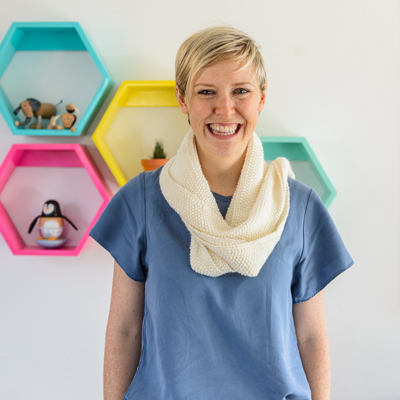 Stacey Clare's Tip: Make these often and don't feel guilty. The gelatin will fill you up, heal your gut (and boost your immune system whilst that's happening) and they're so yummy. I make them weekly, sometimes in these lovely moulds and other times just straight in to a plastic container (or glass one lined with baking paper) and then I cut them in to squares.